The MCS-4/40 Test boards are now back in stock and shipping this week. Only have a few available so head on over to the MCS-4 page to order yours. I also added a PDF of the boards schematic to make interfacing to it easier for any projects you may have in mind. If you do have a project in mind, or already made one, post about it in the comments, we’d love to see/hear about it. Now available at The CPU Shack are the Z80 and i8085 Expansion boards for the MCS-80 test boards. 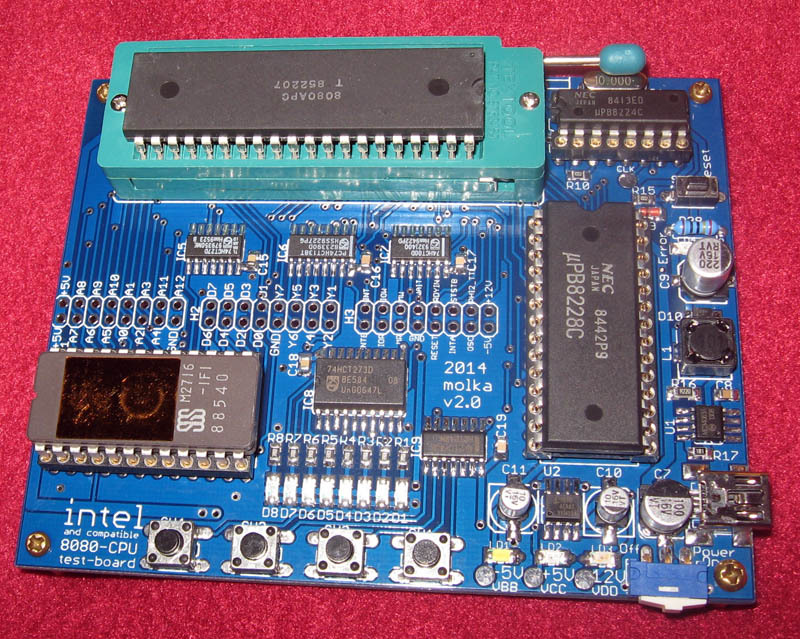 The i8085 and Z80 expansion tools allow the MCS-80 test-board to test the function of Intel 8085 (and compatible) or Z80 (and compatible) CPUs. 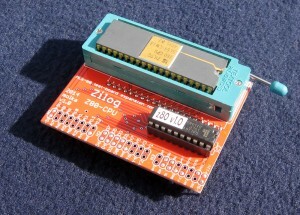 The test tools are connected via the ZIF socket for the i8080 CPU and into the 3×16 pin header connectors of the MCS-80 test-board. There is no need to modify or replace anything on MCS-80 test-board. This is possible because both the Z80 and i8085 CPUs are based on the Intel 8080 processor. The 8085 is nearly the same as the 8080 from a software point of view, Intel just greatly simplified the hardware required to support it. They are currently available for $29.95 each shipped. 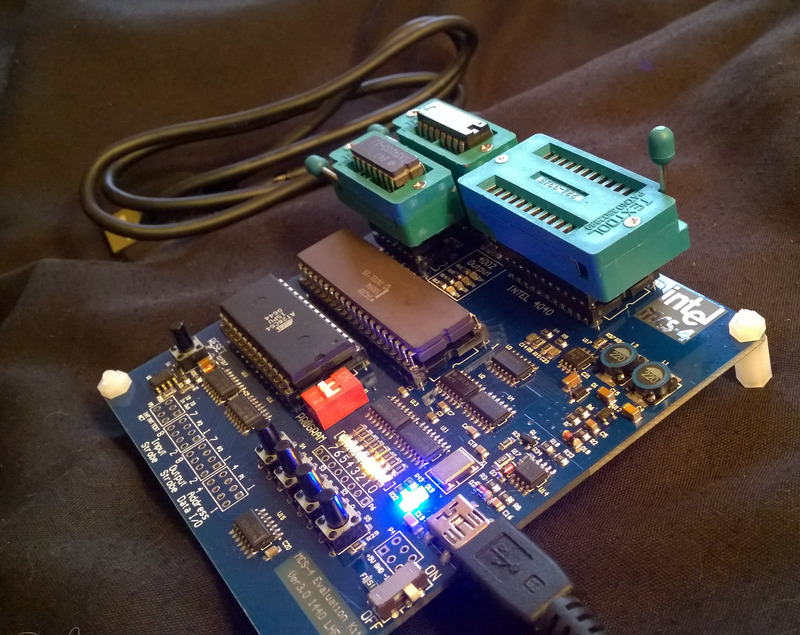 The CPU Shack is excited to now offer MCS-4 test boards for sale and shipping now. These boards are intended to test Intel 4004 and 4040 processors as well as 4002 RAMs. They can also test National Semiconductor 4004s and 4002s. Head on over to the MCS-4 page to buy yours today! The CPU Shack is excited to now offer MCS-80 test boards for sale and shipping now. These boards are intended to test Intel 8080A processors as well as their many compatible second sources and clones (such as AMD, NEC, Toshiba, and many more! Each board runs off of a min-USB connector making it very easy to use. The 8080 processor is inserted into an easy to use ZIF socket making testing many different CPUs a snap. 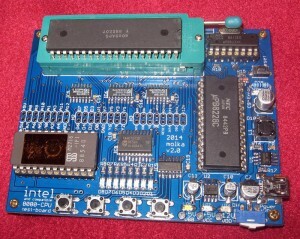 Included with each board is a working Tungsram 8080APC processor, an Intel copy made in Hungary. Head on over to the MCS-80 page to buy yours today!